Student-Athletes Leading Social Change (SALSC) is a passionate coalition of current and former college student-athletes who want to use their leadership skills to make a real difference on a local, national, and international level. 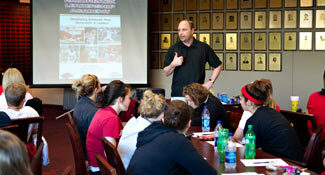 The 501(c)(3) non-profit organization began as a natural offshoot of our Leadership Academies and allows interested student-athletes to apply their leadership skills to social change issues across the globe. 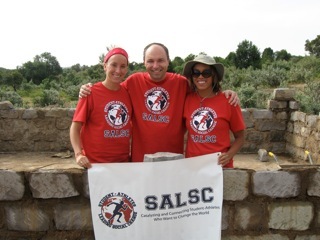 SALSC has raised over $200,000 during the past four years to help build or refurbish schools for impoverished communities in Kenya, Ecuador, Chicago, Washington, D.C., Philadelphia, and New Orleans. 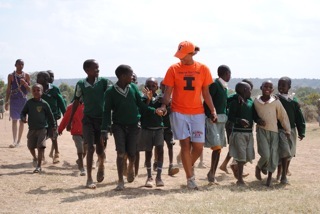 In 2010, SALSC sent a team of student-athletes from Michigan, Illinois, Lehigh, North Carolina, and Central Michigan to Sikirar, a small remote village in the Maasai Mara region of Kenya. The team of student-athletes worked side by side with the Maasai tribe to help build the school SALSC funded, conducted a sports camp for the local children, went on a water walk with the mamas of the village, and immersed themselves in the Kenyan culture. 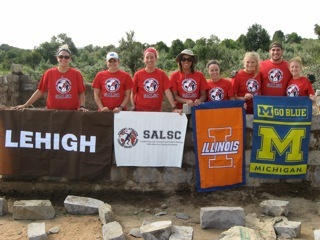 In 2011, SALSC sent a team of student-athletes from Michigan, Illinois, Lehigh, North Carolina, Central Michigan, and Iowa State to Chismaute, Ecuador. Again, the team worked side by side with the community to build an elementary school, support a Girls' Leadership Club, implement a water project, and develop a sports field for the community. SALSC also won the Big Dreamers Award and a $5,000 grant from Free the Children for their inspiring work. 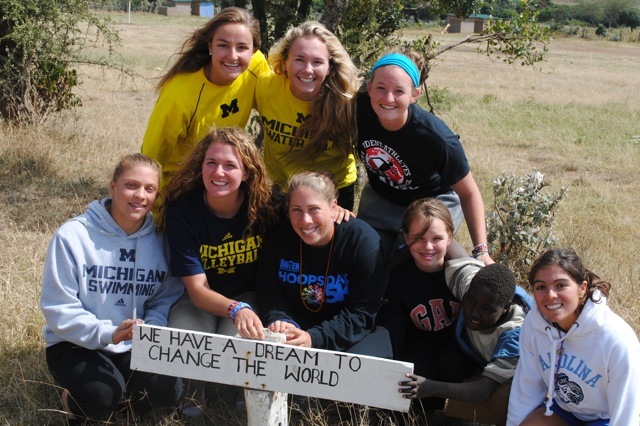 SALSC raised over $56,000 and sent a team of student-athletes from Michigan, Illinois, Lehigh, and North Carolina to build an elementary school in Ngosuani, Kenya. The service team spent a week in Kenya building the school, learning about the Maasai culture, playing games with the school children, and visiting Kisaruni Girls High School. SALSC raised $15,000 to refurbish schools in New Orleans still impacted by Hurricane Katrina. Student-athletes from Lehigh, Illinois, Michigan, UNC, UCF, UNE, Augustana, Grinnell, and Sacramento State teamed up to transform Sylvanie Williams College Prepatory School. SALSC also worked with Arc of New Orleans for the mentally disadvantaged to plant a sustainable garden and recycled and repurposed over 2,000 pounds of discarded Mardi Gras beads that would have ended up in the landfill. 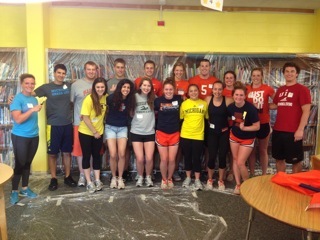 Twenty student-athletes from Illinois, Michigan, Michigan State, and Illinois-Chicago painted Pritzker Elementary School in Chicago on June 15, 2013 in conjunction with the Chicago Serve-a-thon. Over $700 was raised and donated toward the project. 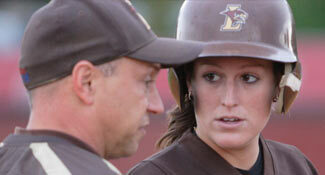 SALSC was co-founded in 2009 by Janssen Sports Leadership Center founder Jeff Janssen, Illinois swimmer CeCe Marizu, and Central Michigan women's soccer player Amanda Waugh.